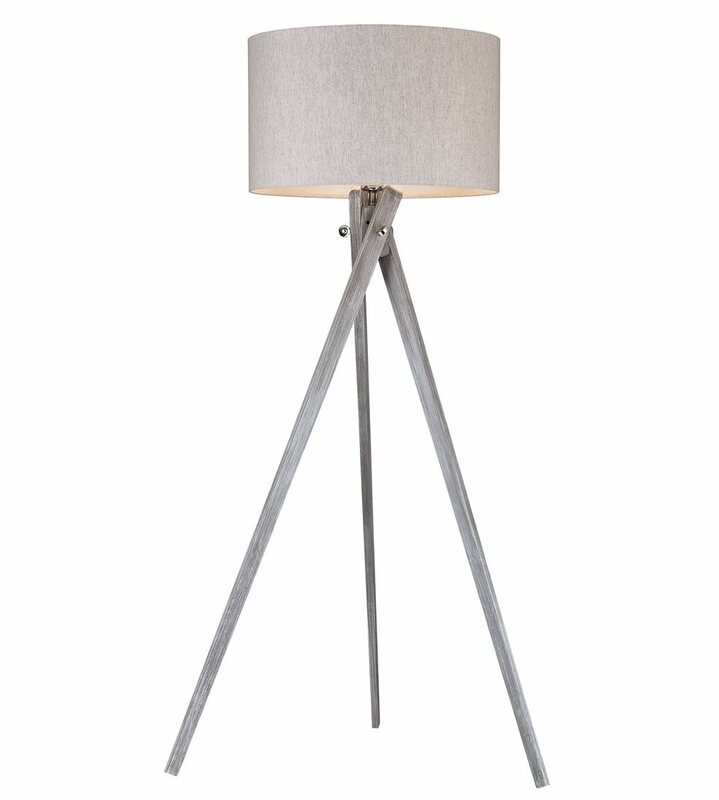 This beautiful tripod lamp has a unique black ash finish with a light grey linen shade. These hues work beautifully together. Featuring one 60W bulb.